If you are looking for a plumber to service your boiler, get in touch with Direct Gas Heating and Plumbing. If you leave your boiler un-serviced for too long it can end up costing you a lot of money to put right. If you think there may be a fault with your boiler, do not forget about it. One of our engineers will come to your property to check it out, and it won’t cost you a penny for them to do this. Don’t be without heating or hot water this coming winter, have your boiler serviced now while it’s still warm outside. 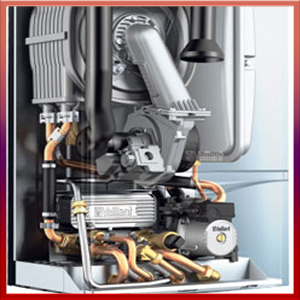 Plumber Manchester recommend that your have your boiler serviced every 12 months, to make sure it’s in great working order. Our team of technicians are highly qualified and experienced, and will never let you down. We will diagnose the problems straight away, and will have you up and running again in less than 24 hours. When we have gas boilers or other gas appliances in our properties is best to have them serviced regularly. If you are the owner of a commercial building having no working boiler could mean that your clients go elsewhere. Broken gas appliances have been known to cause injury to its occupants, as well as death. The main cause of illness or death is from carbon monoxide poisoning. Each of our Plumber Manchester are Gas Safe Registered, so you can guarantee an amazing service every time. If you are experiencing problems with your boiler, whether it be day or night, give us a call. We have an excellent reputation when it comes to emergencies. One of our team will be at your property as soon as possible to find and fix the fault in no time at all. All our emergency call outs come with safety checks and boiler diagnostics, to make sure we leave everything working the way it should. The quote we give you is what you pay; there are no hidden fees. Our team will service your heating system, as well as install new up-to-date ones. We will install new kitchen appliances, such as central heating systems, gas hobs, cookers, gas fires and space heaters. Plumber Manchester will also install or repair radiant tube heaters, cabinet heaters, commercial boilers, suspended heaters and plaque heaters. Safety checks are performed with every single job we do, so that your property is left safe and secure. Our team perform any kind of plumbing work that our customers require. These can include radiator moving, fixing leaks, tap replacements, installing bathrooms, fixing gas leaks and replacing soil stacks. If you require a new bathroom installing our jobs, include toilet and washbasin installs to complete bathroom suites. No job is too small, or inconvenient. We are available 24/7 for emergency repairs as well as all other Plumber Manchester services. Get in touch by phone or email today, and someone will come and give you a free quote at your earliest convenience.